Why Should the US Talk to North Korea? A willingness to sit down and talk with an adversary is a sign of strength, not weakness. 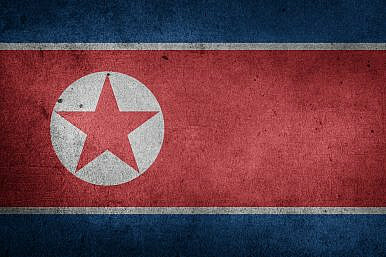 If North Korea’s previous missile launches in the 1990’s and early 2000’s were largely batted away by U.S. officials as a scheme to get Uncle Sam’s attention, the improvements of Pyongyang’s nuclear and ballistic missile programs over the past several years has now forced the world to perceive the Hermit Kingdom in a different light. Pyongyang is no longer a spoiled, little child in a sea of giants lashing out to talk to with the big powers. They are now a de facto nuclear weapons state that is transitioning into a more vital national security threat to the United States with each passing day. The Obama administration’s strategic patience policy, one that can only be described as shutting the window for diplomacy until and unless North Korea pledges to denuclearize as a precondition, has proved by all objective standards to be an immense failure. With the exception of a short lived aid-for-freeze agreement in 2012 that quickly collapsed after Pyongyang launched a satellite into orbit, the United States has essentially written off further negotiations with North Korea on the nuclear issue. By the time Obama leaves office, North Korea will have acquired more nuclear material for more bombs than when he came into office. Very important people in the foreign policy community are now taking notice with increasing frequency. Former Chairman of the Joint Chiefs Mike Mullen and former Sen. Sam Nunn have come out with a report recommending that Washington sit down with China on the North Korea question and provide Beijing with an incentive to actually cooperate in the denuclearization effort. The National Security Council is reportedly deliberating on whether to follow the Iran sanctions model; tighten the screws on North Korea’s exports and penalize any third-nation bank that deals with Pyongyang in order to starve the regime of resources. And in the meantime, U.S. diplomats are once again hard at work with their colleagues in the UN Security Council in an attempt to tighten loopholes in a resolution that was passed in March of this year. All of these discussions are positive, for they are an explicit acknowledgement by Washington’s foreign policy establishment that the current policy is not having the desired impact on North Korea’s weapons programs. Unfortunately, the Obama administration — like the George W. Bush administration before it — chose to wait towards the twilight of its term to consider a new approach on the question. Americans haven’t heard much of anything about how the two major party nominees for president will tackle the ever-potent North Korea nuclear weapons problem. One has called for an outsourcing of U.S. policy to China, a country that composes 70 percent of North Korea’s trade and the only nation in the world that has some effect on how Pyongyang behaves. The other has advocated for a continuation of the Obama administration’s policy of increasing economic sanctions and sending a message to China that their banks will be punished if they don’t start enforcing Security Council resolutions to the letter. In the meantime, exploratory diplomacy seems like an after-thought, as if coercive measures will be powerful enough to rid the world of the North Korean menace once and for all. Yet, whether we accept this state of affairs or not, coercive measures haven’t gotten us where we need to be: a denuclearized Korean peninsula where North Korea and South Korea are no longer at each other’s throats and heading towards a dangerous escalation. There is a specific belief set on North Korea that has led U.S. policymakers towards the same cul-de-sac of escalation, counter-escalation, and ultimately failure. The logic is straightforward and compelling; the U.S. must either persuade or pressure the Chinese into reigning in its North Korean ally. The Chinese leadership in Beijing must also implement Security Council resolutions to the letter, without exception, in order to starve Pyongyang of the resources it needs to sustain its regime and fund its nuclear research and development. Only China, the reasoning goes, has the economic and diplomatic leverage over Pyongyang that no other country in the world or the region broadly has. And that if the United States and its allies have any chance in denuclearizing Korea, China will need to help steer the ship. As powerful and significant as Beijing is on the North Korea problem (and they are significant), China is only one factor in this entire equation. Repeatedly playing the China card, however, has provided U.S. officials with a convenient excuse to absolve themselves of their part in the failure. In the end, pushing China to cooperate on sanctions, isolating North Korea diplomatically at the United Nations Security Council, and bolstering the U.S. defense relationship with South Korea and Japan are only temporary measures that manage the problem. Only comprehensive negotiations with the North Koreans on their nuclear program, without the placement of impossible preconditions that Kim Jong-un is unlikely or unwilling to meet, will resolve it. Granted, negotiating with North Korea is one of the most difficult assignments that a U.S. diplomat can undertake. Pyongyang has often been duplicitous, promising to restrain themselves for concessions — only to pocket those concessions and renege on the deal. By setting markers before formal negotiations can even begin — markers that Kim finds unacceptable — current U.S. policy makes an already difficult negotiating task nearly impossible. A nation like North Korea that prides itself on its independence and resilience and a leadership in a near-constant state of paranoia about regime change will not willingly negotiate his nuclear program away without something concrete in return. Refusing to acknowledge that state of mind, while continuing to condition negotiations on certain concessions is a roundabout way of telling Pyongyang that Washington isn’t interested. The result has been anything but positive for U.S. interests or stability in Northeast Asia: more underground nuclear explosions, more ballistic missile launches, and more doubt among South Korea that the United States will defend them in the event of a conflict. This is not a trend that the next administration should continue. But this is exactly what we are likely to get if the next president doesn’t begin to break the mold of conventional wisdom and authorize an alternative to two options that are even less palatable: authorizing military force against the North’s nuclear facilities and unleashing a catastrophe that would draw in regional powers, or continuing an ineffective status-quo. A future administration that chose to sit down with the world’s most repressive and despicable regime would also face a near-mutiny both inside and outside the U.S. government; in Washington, passing economic sanctions against the North Koreans is one of the only things everyone can agree on. Unfortunately, we live in a world as it is, not as we wish it to be. And as the world’s most powerful nation, it would be wholly irresponsible for the United States not to use all of the tools at its disposal — yes, even diplomacy with a cult-like regime — to resolve tricky national security questions that other nations don’t have the power to solve. A willingness to sit down and talk with an adversary is a sign of strength, not weakness. The next president, whoever that happens to be, would do well to keep that mantra in mind. The North Koreans may be reasonable in what they offer. They may ask for far too much in exchange for far too little. But we won’t know for certain without sitting down with Kim Jong-un’s representatives and discovering what they are willing to give up –that is, if they are willing to give anything at all.